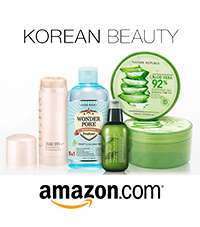 No, no, this is not a personal ad looking for an affair… I wanted to take a little foray into non-Asian beauty products and chat about a sometimes-neglected topic: lip care. Yeah, yeah, a gorgeous rouge can work wonders to brighten your face, but like I always say, the best foundation is healthy skin under all of the fun stuff! One of my best friends has been into lip products—really, really, really into lippies, as in at least $500 down the hole into them—but unfortunately, I’ve had to slap her wrist about her lip care habits. She used to exfoliate it daily. Daily! What heathen! Fortunately, IQ Naturals happened to reach out to me with their lovely range of locally-made, organic (not just the buzzword) products from Portland, Oregon. 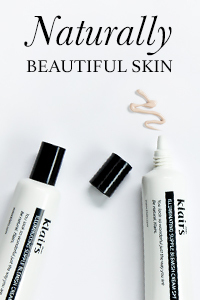 I love supporting smaller businesses who keep it local, and I was inspired to take better care of my lips, so I decided to try out the IQ Natural Lip Care Kit in Piña Colada flavor! This kit includes their Piña Colada Lip Scrub and Lip Balm. And spoiler alert: They smell just as yummy as they sound. This product was provided by IQ Naturals for review. All content on A River Lily reflects my honest opinion. This post contains some affiliate links, which support this blog’s content. Check out my Policies and Transparency page for more info. First of all, look at this cute packaging. LOOK AT IT. The aesthetic goes very well with IQ Natural Skincare’s pledge to use locally-produced, organic ingredients and components in all of their products, as I mentioned earlier. Let’s start with the lip scrub! I use this about 2 to 3 times a week. If you’ve never used sugar lip scrubs before, let me tell you, they are very easy to use—and are usually very, very tasty. Well, remember how I warned you not to eat the Skinfood strawberry mask? Well, you can definitely eat this scrub! But please don’t try to eat it all in one sitting. Up next: Does Lily need a cuticle-care kit? Sorry, I am totally not flipping the sugary bird at you. If you’ve ever used Lush’s sugar lip scrubs, this IQ Natural scrub seems to be mushier, in a good way. The minimal ingredients seem to have been blended much better here instead of being too grainy, which makes it easier to use. It melts more easily due to the heat of your own skin, decreasing the scrubbing time and reducing the risk of overexfoliation. Besides, you’ll be so tempted by how good this tastes that the sugar won’t stay on your lips for too long, anyway. The only downside with this easily-melting aspect is that…I live in Hawaiʻi, for crying out loud. I’m concerned for its actual shelf life. It’s quite hot and humid, so I have to store this sugar deep in my insulated-by-linen closet. Be careful not to store this near soaps, though; sugar can absorb other scents and flavors very easily. TIP #1: Hydration is key. Like a true Aquarius, I always put water first. I could tell you to drink 8 ounces of water a day, but that’s a pretty archaic rule to live by. Better advice would be to drink whenever you are thirsty, and then some. Need more exact guidance? Drink about .5-1 oz of water for every pound you weigh. Your hydration affects you from the inside out, including your skin. Make it into a habit you don’t even think about. Personally, my body is terrible at telling me that I need hydration. A few years ago, I made a habit of taking two sips instead of one whenever I actually reached for water. I then started keeping a bottle or glass wherever I’m working, A.K.A. my desk, and made myself take two sips whenever my eyes happened to wander to it. Eventually, I would drink about 90 oz of water daily! Keep some water at your table, living area, or wherever you spend a good part of your day. (Just don’t overwater…) Speaking of watering, there are also virtual plant-watering apps that encourage you to “water” your plant whenever you “water” yourself! They are very cute. Anyway, my point is, hydration is key not just for your lips’ and skin’s health, but obviously for your overall well-being. Just dew it. As for this heavenly-scented lip balm, I can see it becoming a simple but very effective go-to daily balm. It goes on very smoothly from fingertip to lip. I prefer to dab rather than rub it on. While it definitely smells pineappley/coconutty, it is a very subtle scent that does not linger. My trusty ol’ EOS lip balm which I’ve since replaced with like, a billion other lip products people have given me for some reason, also had vitamin E, so I’m glad this balm does, too! Even my Kleenex tissues supposedly have vitamin E! Ahh! While I’ve come to enjoy using the balm on the daily, though, it’s a little bulky for my purse’s liking. Lately, I’ve kept it at home for weekends and nights, even incorporating it into my summer~fall nighttime skincare routine. TIP #2: Your lips are skin (duh), so treat them like skin. Your lips need care the same way your face does. Don’t scrub and wash too often or too harshly; this will dry them out and make them flaky and unhealthy. Always remove makeup on your lips before going to bed; oil cleansing is excellent at this. And remember your favorite moisturizing/healing snail and that hydrating powerhouse, hyaluronic acid? Your lips can imbibe those nutritious products, too! Try this out: During your usual nighttime routine, and especially after using a lip scrub, spread your moisturizing facial skincare products to your lips. Hydrating lotions, essences, ampoules, go ahead! I’m currently boosting my skincare with Dear by Enprani Moistfull Booskin (also restocked on Memebox), which, like the popular Hada Labo Gokujyun and Shirojyun lotions, help your subsequent products to sink into the skin. Seal it all on your lips with something like this lovely piña colada lip balm I’ve been talking about. I’ve also used Vaseline lip balm to great effect. Sorry, for me, Eos ain’t got nothin’ on this overnight lip care! In general, balms with a beeswax, petroleum jelly, or paraffin base work well for this final sealing layer. The only aspects of this lip balm I would improve would be with more hygienic packaging like a tube, and to add sun protective properties. Although the balm goes on well enough, I’m not a fan of the fingertip application. It requires me to wash my hands for a truly clean application, and it can keep bacteria from my finger, or even perhaps offer particles in the air with a larger area of balm to land on. Not that the lips are exactly the most bacteria-free (don’t Google that if you’re eating right now), but anything to discourage bacteria is better in my book. As for SPF, I’m all about sun protection lately, and caring for those sometimes-neglected areas like the lips. Any SPF would be a huge upgrade for this balm! I would suggest using a full-power sunscreen on your lips, but they can get into your mouth and taste very unpleasant. Many other products like Blistex, Chapstick, and other balms already have at least about SPF 15. Of course, that brings up the topic of formulation and proper incorporation of preservatives—a hugely complex topic in itself. 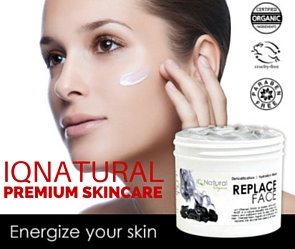 I should inquire with IQ Natural if they are looking into SPF-ing their products anytime in the near future. TIP #3: Avoid licking and biting your lips. Although some of us instinctively lick our lips for quick moisture, this can actually dry them out in the long run! Just as overcleansing your face can cause dryness, your lips can suffer the same fate due to saliva, whose enzymes that help break down food can also irritate the lips and damage the skin barrier. Since saliva evaporates quickly anyway, why bother? Saliva just does not belong there, so use a proper lip balm to keep ’em moist instead. Something with vitamin E—yep, like this from IQ Naturals!—is especially beneficial. To state the obvious about biting your lips…Just don’t. It will damage the skin, not to mention cause discoloration. And finally, don’t peel any flaking! Have I not raved about the scent enough? Pay attention, people! It smells like piña colada, a bit heavier on the sweet notes. If you don’t like piña colada and getting caught in the rain, the balm and scrub both come in cherry and French vanilla flavors as well. OK, OK, I’m all Rupert Holmes’d out. The lip care kit is actually quite a good deal at $24 for the balm and scrub, considering how conscientious this company is about where they get quality ingredients, how/where they produce their products, and the quality of their customer service. The balm by itself is $14, and the scrub is $14 as well. These would also make great gifts for a friend who wants to try something new! I’m having good experiences with the IQ Natural Lip Care Kit! As I’ve discussed, my only qualms are with the nature of sugar melting easily in a humid climate, which does have both pros and cons; and the lip balm packaging, though this type has been quite popular in the industry (not to mention it somehow just looks more chic), despite it being less hygienic than tube packaging. Overall, I’m very happy with the balm’s and scrub’s performance. They are highly enjoyable, work very well using simple and beneficial ingredients, and come at a great price considering the fact that they’re locally-made in Oregon. I highly recommend lip scrubs in general, but while you’re at it, why not get it in a flavor/scent that you love? Everyone could use a little more healthy self-love.